Yahoo-owned Tumblr today rolled out a major update to its iPhone, iPod touch and iPad application in the App Store, bringing out official support for Live Photos, introducing 3D Touch Home screen shortcuts and a few other enhancements. Tumblr 5.0 for iOS also makes its messaging feature available to everyone today, lets you send a post to any Tumblr and toss it with the tap of a button. Tumblr’s support for Live Photos stems from Apple’s iOS 9.1 software development kit, which permits third-party app makers to integrate Live Photos in their own apps. You can share a Live Photo on Tumblr like you would any ordinary photo, the app takes care of the rest. Live Photos posted to Tumblr have the same icon on them that distinguishes them from normal photos, like in Apple’s stock Camera and Photos apps. Facebook’s own app will gain Live Photos support soon. 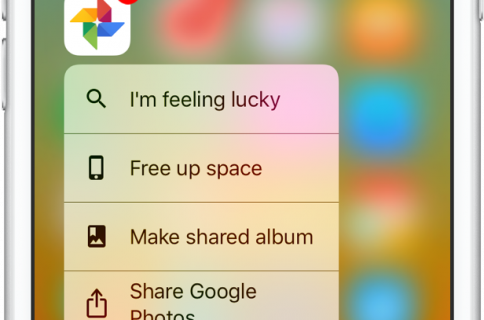 And if you press hard on Tumblr’s icon on the Home screen, you’ll get a single shortcut: Search. 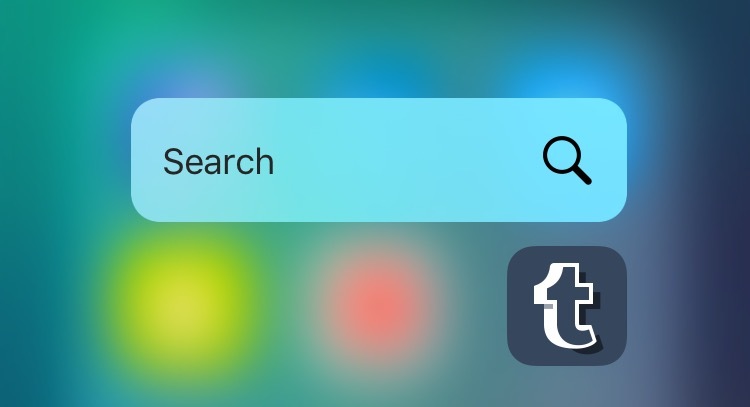 Over time, Tumblr plans on expanding rather limited 3D Touch support with additional Home screen shortcuts and in-app Peek and Pop gestures. Tumblr requires an iPhone, iPod touch or iPad with iOS 8.0 or later. The app is localized in English, Dutch, French, German, Italian, Japanese, Korean, Polish, Portuguese, Russian, Simplified Chinese, Spanish, Traditional Chinese and Turkish. Grab Tumblr for iOS for free in the App Store.